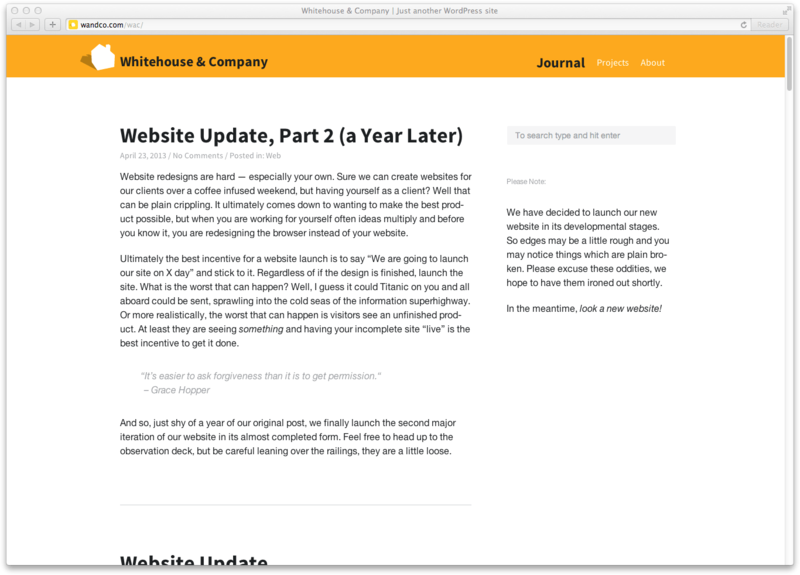 Website redesigns are hard — especially your own. Sure we can create websites for our clients over a coffee infused weekend, but having yourself as a client? Well that can be plain crippling. It ultimately comes down to wanting to make the best product possible, but when you are working for yourself often ideas multiply and before you know it, you are redesigning the browser instead of your website. Ultimately the best incentive for a website launch is to say “We are going to launch our site on X day” and stick to it. Regardless of if the design is finished, launch the site. What is the worst that can happen? Well, I guess it could Titanic on you and all aboard could be sent, sprawling into the cold seas of the information superhighway. Or more realistically, the worst that can happen is visitors see an unfinished product. At least they are seeing something and having your incomplete site “live” is the best incentive to get it done. iteration of our website in its almost completed form. Feel free to head up to the observation deck, but be careful leaning over the railings, they are a little loose. 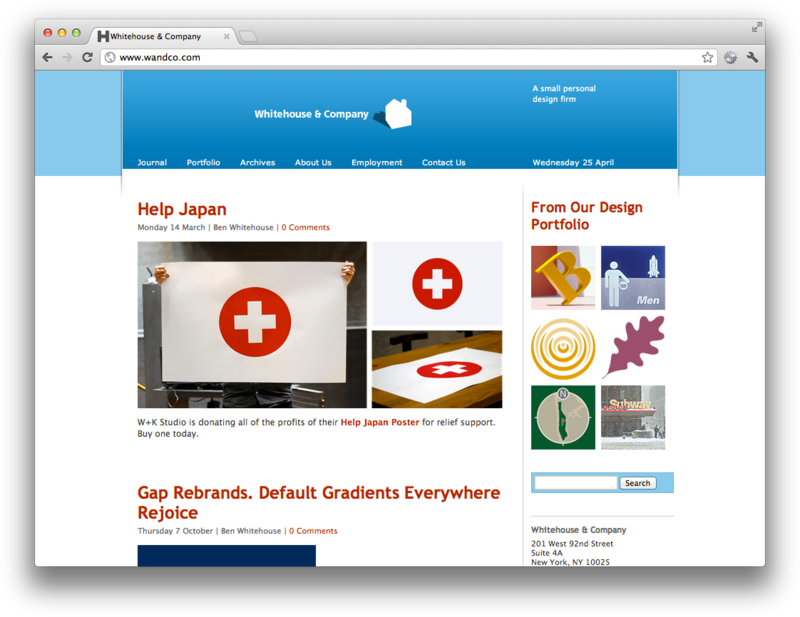 The original site – for posterity. Back in 2002, the web was a fairly volatile place. Web standards had just been introduced and the internet was in flux with new coding strategies and methodologies. Since 2002 we have seen incredible advances in both the way websites are made as well as a substantial change in what they are made out of. This website was originally designed in 2002. It was, at the time, pretty cutting edge using WordPress as its internal content management system. Now in 2012, that is standard practice for most websites on the internet. 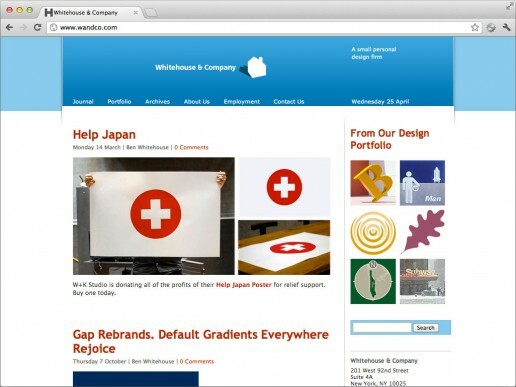 As such we have decided at Whitehouse & Company to redesign using the latest standards HTML5 and CSS3. To bring our blog and portfolio into the twenty-teens. It is something we are very excited about and also a journey we will share in posts about what we learn along the way. 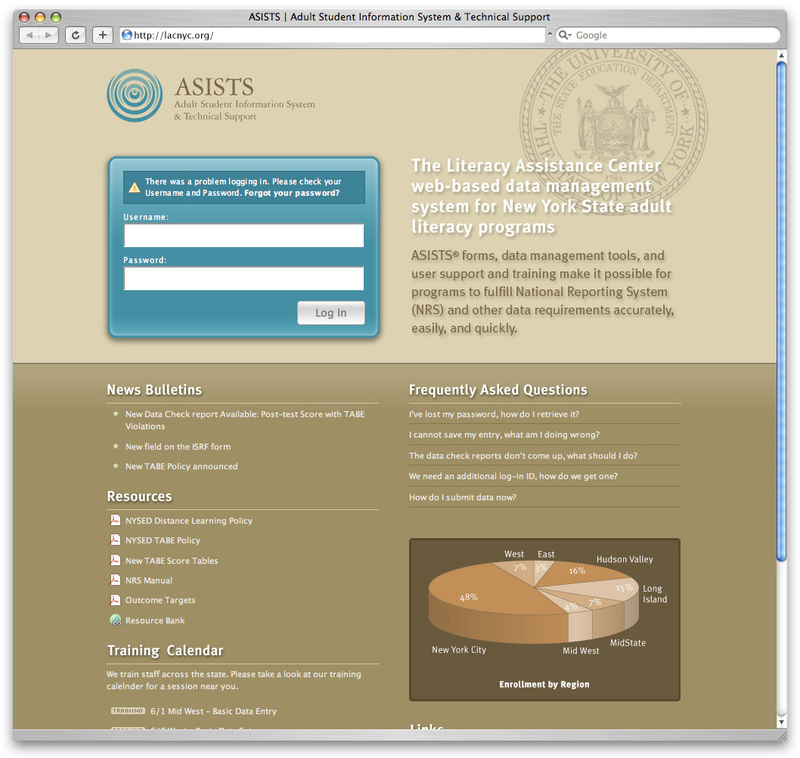 We have recently put the finishing touches on a web appliction for the New York State Department of Education. 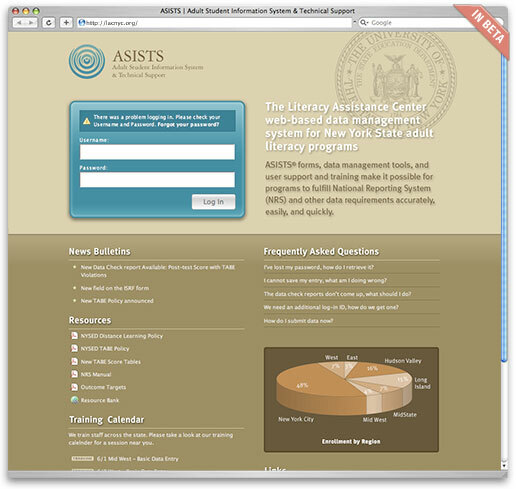 Developed in association with the Literacy Assistance Center in New York, the ASISTS site allows teachers to record the progress and history of students, and to be able to access this information and update it at any location. Being database driven, it can automatically prepare statistical analyses within any specified parameters, for reporting purposes. All of which means that it is state-of the-art, as well as having a clear graphic hierarchy to enable users to easily navigate and understand this otherwise complex and extensive site. After several hours mouse-wrestling on the web with increasing frustration, attempting to book a flight to the UK, hire a car, and order some Epson inks and paper, I was lacking in faith as I began a search for some cardboard packing boxes. 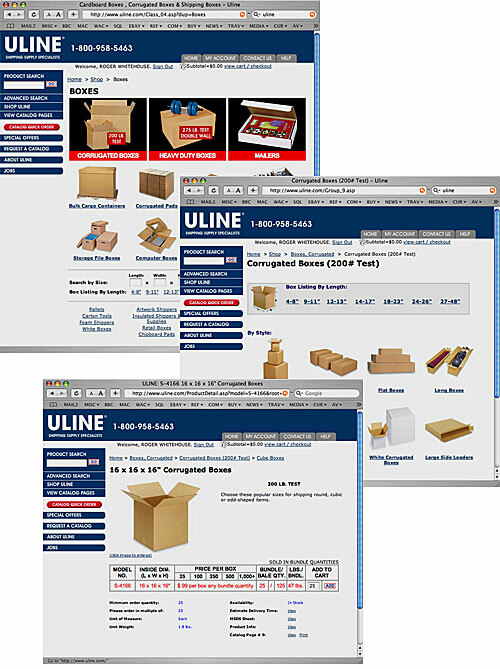 Then I ended up on the Uline site. This is not a site to win trendy design awards, which is a pity, because functionally it is one of the best designed, everything-is-where-you-might-expect-to-find-it, exactly-the-information-you-are-looking-for, most intuitive sites I have ever had the pleasure to visit. I’m sure it’s happened to you at some point, you visit a website that you registered with, maybe your company’s healthcare provider, but you’ve totally forgotten your username and password. If you’re anything like me, you have a few usernames you’ve used over the years and a few passwords you might have used, but which ones are they? A few minutes of trying and I usually give up and ask for my username and password to be e-mailed to me. This scenario happens to me over and over again and I never seem to get used to it. Is there another way? Are usernames really the best method for registering users?